Often cracks and uplift in tile are caused by cracks and deterioration to the bedding mortar beneath the tile. Marion removes tile to expose the bedding mortar and replaces with the most appropriate mix for the type of tile or stone and compatibility with the original bedding mortar (if any is to remain) and substrate (wood, concrete, clay tile, etc.). Historic tile work takes a gentle and trained hand in order to avoid damage from over-cleaning or use of harsh chemicals. Cleaning involves the removal of wax, carpet adhesives, surface grime, creosote, paint, or stains from colored grout. Cleaning tests are executed first to confirm the most appropriate and least invasive technique. This test acts as the basis for pricing. 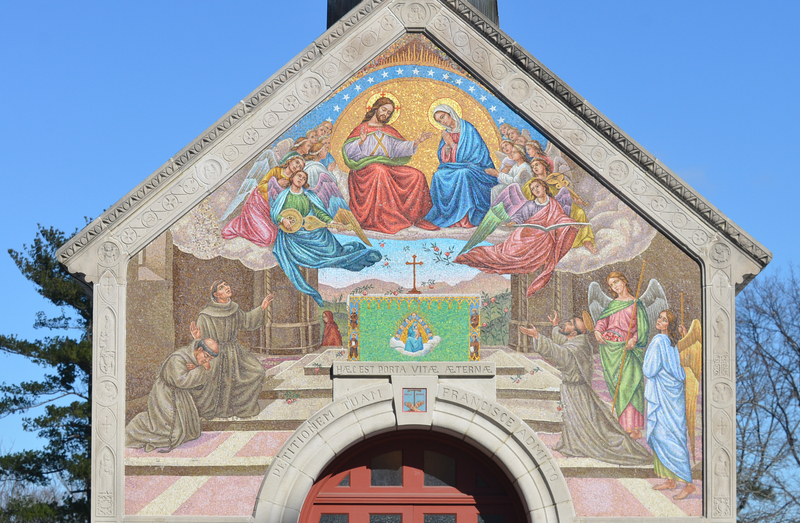 Often a historic tile is so decorative that even the loss of one tile is a tragedy. 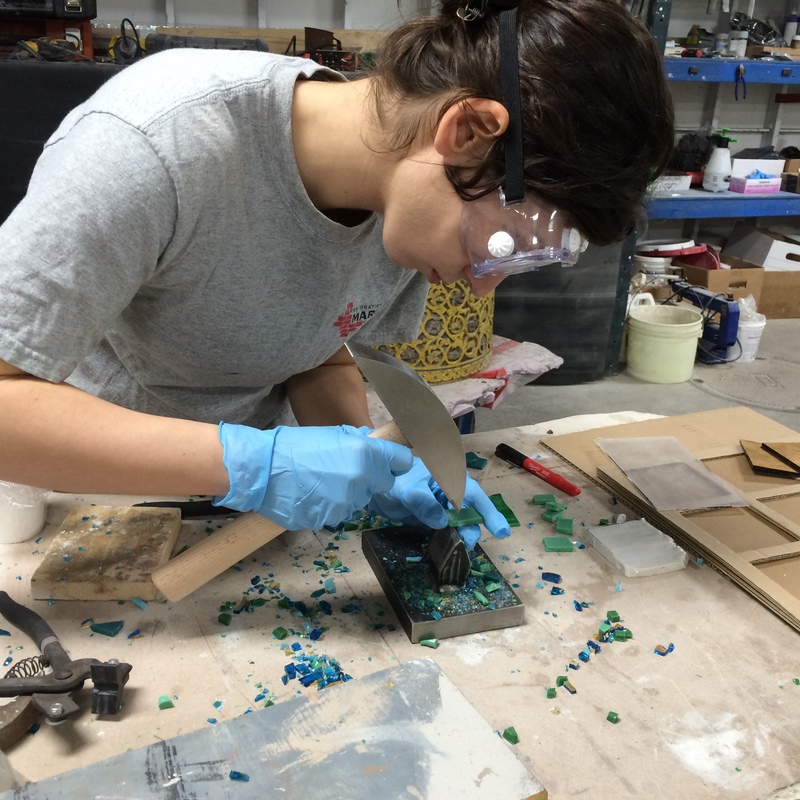 Marion repairs fractured tile (when salvageable) and repaints the surface to hide the repair. 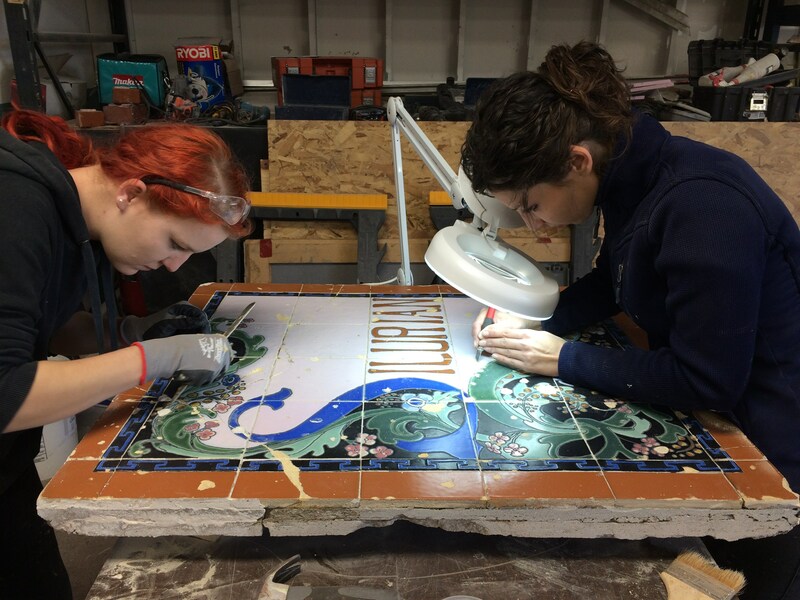 Custom hand-cutting of mosaic stone, custom porcelain fabrication, cleaning, reglazing, resetting, and grouting. Marion’s skilled conservators prepare the job site prior to executing work to ensure the interior finishes, furniture, etc. are not damaged during the work. This involves the use of plastic tarping, vestibule creation, carpet protection, etc. Custom porcelain fabrication, cleaning, reglazing, resetting, and grouting. Marion will often reset tiles when the grout or bedding mortar is deteriorated. This involves removal of tile units, cleaning of the grout from the tile, clearing of all previous bedding mortar, any necessary substrate repairs, and resetting of the tile in new bedding mortar. The project is finished with grouting. Often in historic tile work the bedding mortar and grout are the same composition and color.